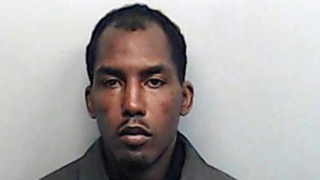 Prosecutors argue in a court filing that a “bloodlust” compelled Aeman Presley to commit a series of murders in the Atlanta area, the Associated Press reports. Presley, 34, appeared in a DeKalb County courtroom Monday. He’s accused of killing three homeless men and a female hairdresser. Prosecutors in DeKalb and Fulton counties want the death penalty. Presley says he’s not guilty. According to the document viewed by the Associated Press, Presley was an unemployed actor who was broke and decided to commit robberies. His killing spree allegedly began in September, when, authorities charge, he shot 53-year-old Calvin Gholston, who was sleeping at a shopping center. Presley allegedly shot the victim three times and didn’t rob him. Authorities said that Presley’s killing spree ended when he shot and killed Karen Pearce, 44, in an apparent robbery. But they say he didn’t get the same thrill from killing a woman. According to the news site, Presley told investigators that he felt remorse after killing her and decided to stop. According to the prosecutors’ court filing, Presley confessed to the killings during a six-hour interview after his arrest in December 2014. He allegedly told investigators that his life experiences gave him a “murderous spirit.” His list of those experiences reportedly included being a member of the Gangster Disciples street gang in Chicago and listening to violent rap lyrics.